If you’ve ever found yourself wondering how to look after your child’s mixed hair, this article was written for you! The first thing to note is that mixed race hair is diverse- some mixed people have hair that is bone straight whilst others have hair that is tightly coiled or afro textured (think Lenny Kravitz). It’s therefore important to know and understand your child’s hair so that you can determine the type of hair care regimen they need. There are lots of things to take into consideration when dealing with mixed race hair and sometimes the information can be a little bit overwhelming. To build the right knowledge and know-how, follow these simple steps. Familiarise yourself. In other words, take the time to really feel, touch and understand your child’s hair so that you’ll know what it likes and what it doesn’t like. For instance, does it tangle easily? Does it get super knotty when shampooed? Does it shrink after being washed? Does it love being conditioned? The more you know about your child’s hair the better equipped you’ll be to look after it. Avoid over-shampooing. If you’re a white mum with a mixed race/bi-racial child, you might be used to washing your own hair several times a week. That’s of course very normal because straighter hair textures need to be shampooed more frequently. However, most mixed race hair textures are different and can for the most part take on the characteristics of curly/afro hair. 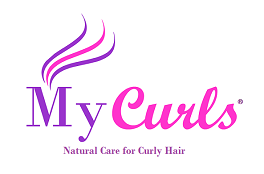 As a rule of thumb, the curlier your child’s hair is, the less often it needs to be shampooed. Moisturise. Moisturising simply refers to the products and techniques you use to stop your child’s hair from becoming dry. Thing of moisture as being the opposite of dryness. To moisturise mixed race hair it’s important to condition often (ideally one ever 2-3 days or so). Conditioning is vital for strengthening your child’s hair, preventing breakage and replacing moisture loss. If possible, always opt for a silicone free conditioner (most high street conditioners contain silicones that potentially damage the hair so it’s important to read the labels of bottles and know what’s in the products you’re using). The second step to keeping your child’s hair moisturised is to apply a lotion or cream to their hair on a daily basis. Once again avoid lotions that contain harsh ingredients or damaging chemicals. Because we understand that it’s important to use the best hair products on your child’s hair, we don’t use harsh chemicals or silicones in any of our hair products. Furthermore, all of our products are paraben free!